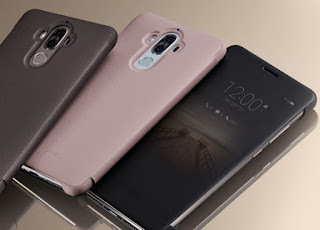 Smartphonemagz.com - Smartphone companies continue to release new products every year. Nowadays, the smartphone market is filled with diverse products in terms of design, specifications, and price range. If you have a limited budget, it is still possible to find a great smartphone. With the following list, you can find the best smartphone under $500 to aid your daily life. What is the Best Smartphone Under $500? Smartphone producers are attempting to outdo each other by releasing phones with great features at an affordable price. Some phones can perform excellently according to what the company promises, while some others fall short. You need to choose the most suitable smartphone wisely. Here are some phones which are considered the best to get for less than $500. Moto X4 is considered the best smartphone under $500 for a reason. Snapdragon 630 which is used as the phone’s main processor is accompanied with RAM size of 3 GB. The device is able to run smoothly although may still encounter lag here and there. It employs a new version of Android, 8.0 Oreo. This phone is equipped with a double camera at its back, with 12 MP and 8 MP resolutions. A 3000 mAh battery will power the phone throughout the day. You can get it for around $399. Snapdragon 820 is built within HTC 10 to run its functions. This outstanding processor is further supported by impressive 4 GB RAM size and storage capacity which can be upgraded up to 64 GB. If you like taking pictures, the 12MP camera is going to pamper you with high-quality results. A Li-ion battery with a capacity of 3000 mAh is equipped with this phone. It also has a fast-charging feature, which is going to be helpful for people who move constantly. This phone can be obtained at $499. 5T is continuously dubbed as the best smartphone under $500. It certainly deserves that title. It runs greatly with the help of Snapdragon 835. It has basic RAM size of 6 GB and 64 GB storage size. The RAM and storage can be upgraded. This phone definitely has the best display among phones in the similar price range. It is equipped with AMOLED screen which gives it a bright and clear display. Despite slight issues that you may encounter with its cameras and inconsistent software updates, this phone is comfortable indeed. It is sold for $499. Its overall design might not be a novelty, but this phone is sure can hold up on its own. 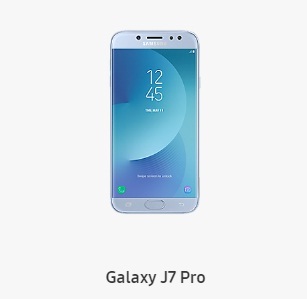 Galaxy J7 Pro is run by 7870 Octa that is paired with 3 GB RAM size. The minimum storage size is 32 GB although it can be upgraded to 64 GB. This phone is equipped with the camera of 16 MP that surely gives you high definition pictures. A battery with the capacity of 3600 mAh will power this phone throughout its varied functions. You can get it at $318 which is quite a bargain. Are you looking for a high performing phone in mid-price range? Mate 9 is definitely the best smartphone under $500 that can fulfill this objective. Chipset Kirin 960 and 4 GB RAM is working together to ensure that this device can run fast and smooth. The maximum storage capacity this device can handle is 64 GB. This phone has two cameras at the back, 12 MP, and 20 MP. A Li-Po battery with a capacity of 4000 mAh is built on the phone, making sure that it can work for a long time without charging. The operating system can be upgraded to the newer version which is Android 8.0.